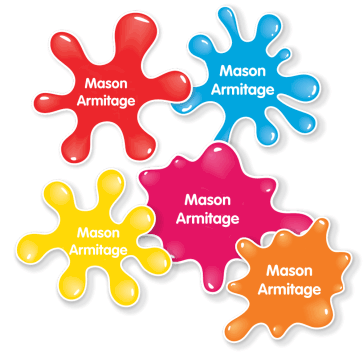 Splat, Splash and Goo labels feature vibrant colours and creative shapes to add a bit of fun to your child’s name labels. Use our product builder to add your child’s name and preview the finished product. From there you can place your order quickly and securely online. Once your order is placed, our team creates your personalised name labels, ready to be delivered to your door. Stick great & look fun on my little ones water bottles etc. We pride ourselves on providing a fast dispatch and delivery service! 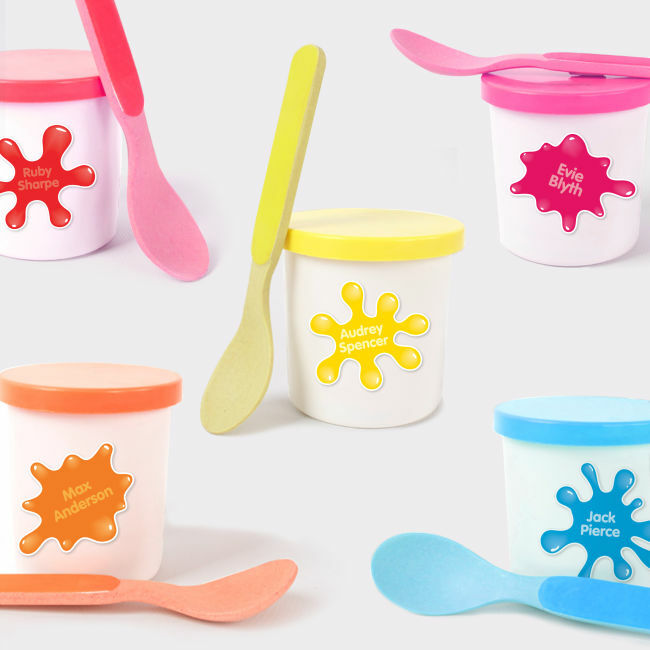 Our Splat Labels are super cool! 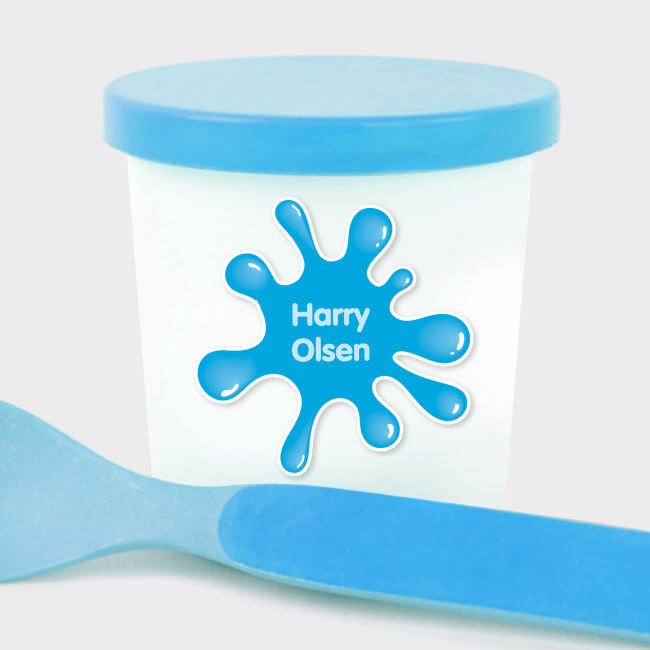 I'm sure you will love labelling all your items with this product! Thank you for taking the time provide us with some feedback! We are so pleased that we were able to provide you with fast and efficient service and that you were happy with your product. Its great to hear our designs are a hit with your children and you feel our Luxury Towels are of great quality and value! We hope you enjoy using all your new Stuck On You products!